Hi, I’m Lavendar, a beautiful young girl who was found by Animal Control. Everyone at the shelter said I am a very happy and outgoing girl. Since coming to GPRA, I have been given so much attention that I really excited about what my future holds. Being a young 1.5 year old slender beauty queen is touch work and I get a little jealous of anyone else getting attention. I think I would do best in a home where I am the only fur kid. Since my lonely past is over with, I am excited to learn new things with my family. I am learning how to walk on a leash, sleep on a soft and comfy bed, and trust humans again. Love and companionship is something that has been lacking this my past life and it is time for me to be part of a family. 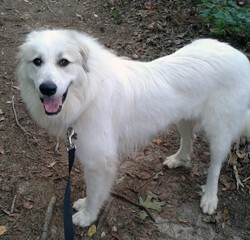 If you think I would be the perfect match, contact GPRA today at info@greatpyratlanta.com for more information.